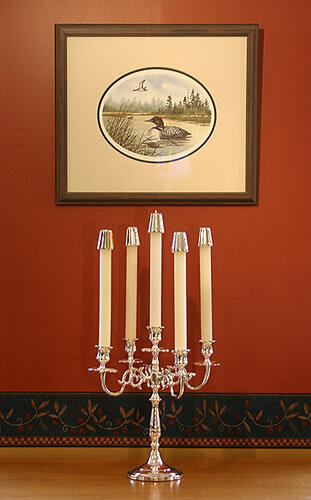 Pictured with our Molded Beeswax Candles and 2602 Candle Followers, sold separately. 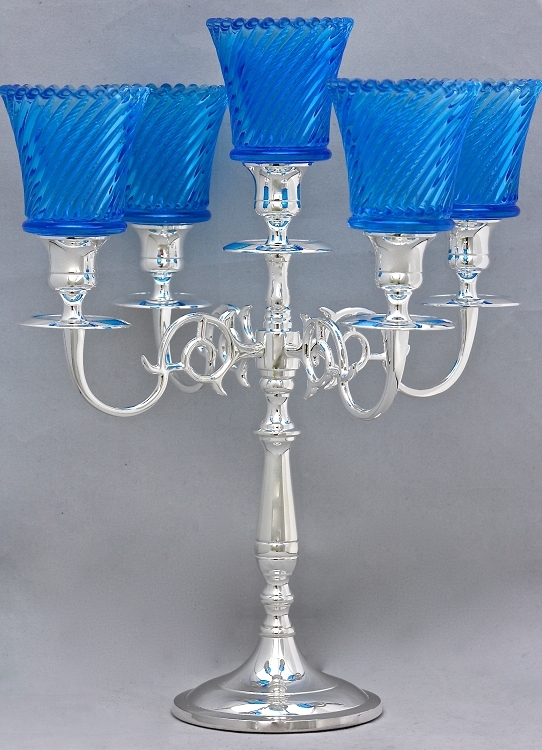 Representative of fine Candelabra of the Colonial period, this is a lovely heirloom quality Candelabra in heavy Silver plate for lasting beauty. The silver is treated with an anti-tarnish finish to keep it shining, the base is felted to protect fine finishes. Center height is 11-3/8", base is 4-1/4" and the spread is 11". Weight: 3 pounds 3 ounces.